A stuffy nose is a condition that doctors call nasal congestion, and it can be caused by several things. Although most people think they have a cold when they get a stuffy nose, this symptom can occur from a number of health conditions. With a stuffy nose, the membranes of the nasal passages get inflamed from excess mucus or from an irritating element. The main cause of stuffy nose is infection, and the common cold is the most common type. With a cold, you have a viral infection, and these kinds of conditions do not respond to antibiotics, so they must run their course. A cold usually lasts about a week - give or take a few days. With the help of over the counter medications, plenty of fluids and rest, you should start to feel better within a few days. The average child will catch up to six colds a year, and the average adult will catch up to three colds a year. A sinus infection (sinusitis) is the most common type of bacterial nasal infection, and this can also lead to a stuffy nose. Allergic rhinitis caused by allergies is the second most common cause of a stuffy nose. An allergy is an inflammatory reaction to a pollutant whether it is environmental (grass, dust, pollen, hay fever, mold or pet dander). If over the counter medications (such as Claritin, Zyrtec, and Dimetane) do not work for you, then our allergy specialists may prescribe a prescription allergy medication. If those fail, allergy shots are also an option. Another cause of stuffy nose is vasomotor rhinitis, and it occurs when the nasal passages become inflamed (swollen.) During an allergy attack or reaction, the blood vessels get larger and cause the membranes in the nose to become blocked resulting in a stuffy nose. Avoidance of airway irritants usually helps with this form of stuffy nose. The fourth cause of a stuffy nose is structural abnormalities, which are usually noticed in childhood. Although adults can also develop structural abnormalities, most often they are the result of an injury later in life. Surgery is often the only option to correct structural abnormities of the nasal passages. Over the counter allergy medicines do provide some relief from the constant stuffy nose. When you blow your nose, the mucus should be clear. If the mucus is yellow or green then you may have developed a bacterial infection, which will require antibiotics. You may also experience a fever, headache, pain behind your eyes, discomfort in the forehead area, or pain in your cheeks. If these symptoms occur, you need to be evaluated by a medical professional. With allergic rhinitis, symptoms include a stuffy nose, runny nose, and watery eyes. If you have a persistent stuffy nose from allergies, our mouth and nose specialists can help. 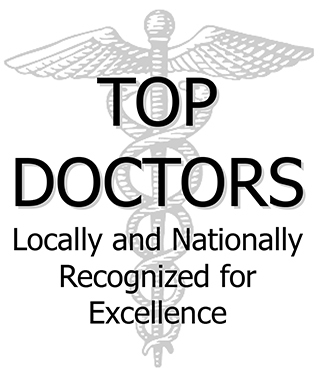 Consider seeing one of our competent doctors for an evaluation. No one likes to suffer with a stuffy nose, especially if treatment is an option. If you or someone you love has a persistent stuffy nose, you could have a serious infection or persistent allergies. Call today and let one of our mouth and nose specialists help you find solutions to your symptoms.